JENG FENG CUTTER MANUFACTURE INDUSTRY CO., LTD" establishes good reputation with trust because of our developing knife / cutter skill and service. 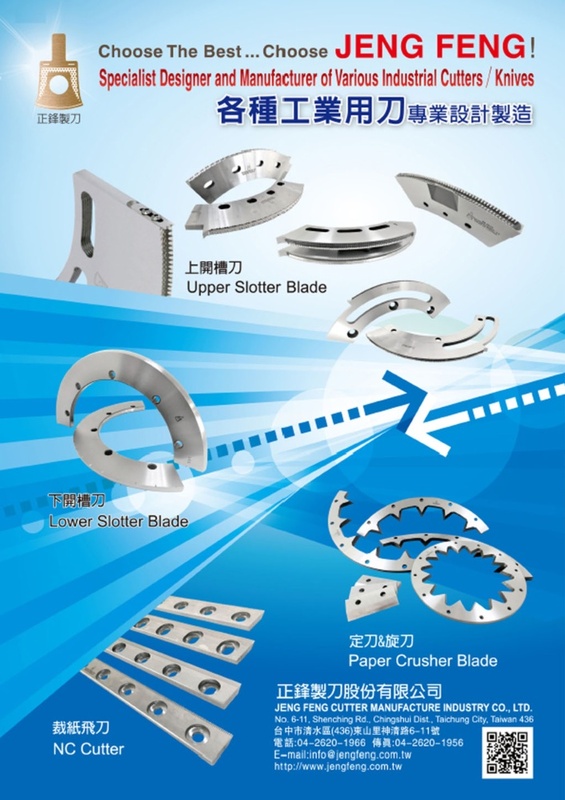 As an experienced cutter / Knife / blade manufacturer and provider in Flexo Knives, Flat plate cross knives, Copper foil cut knife, Circular knives, Round tooth knives, Cutter for cement bag and all kinds of Industrial knives. In order to satisfy customers to use our products in more convenient way, we keep on researching under the positive spirits of our trademark in lead to the leadership position.